I have received some very amusing calls and emails asking me “Which sleeping bags burn best?” and “Should I pack a propane torch in my kit?”. Well, we can laugh about mistakes when everything turns out okay, but I am sure if the trio had died that night and left their kids without a father, none of us would be laughing. An injury, a freak storm, or gear failure could happen to anyone of us, and in this weather, that could be a killer. It was a record breaking 1 Degree when I hit the trail this morning. Two to three inches of snow blanketed the woods. Proper clothing choice and managing my layers allowed me to stay comfortable on the six mile hunt. Even though he had ice in his beard, my co-worker had broke a sweat, which is not good in this weather. 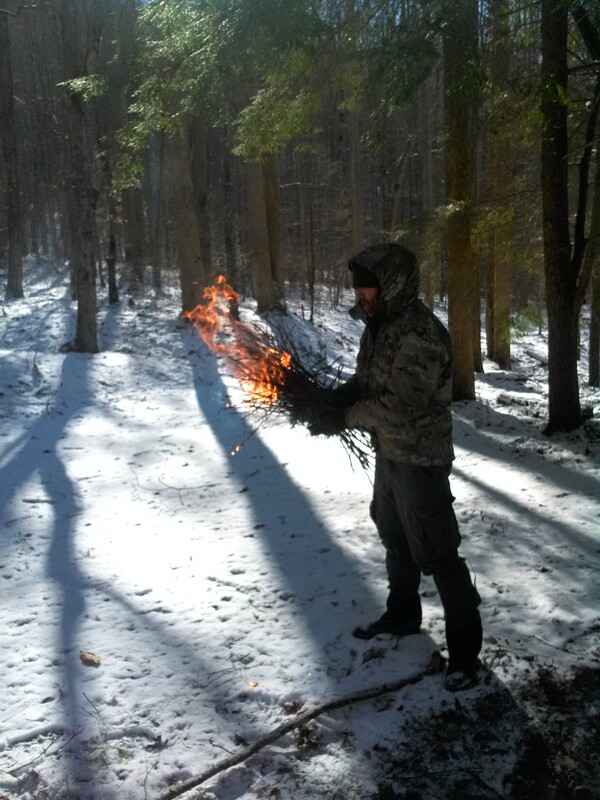 On our lunch break I showed a him the wonders of birch bark as a kicker to a twig bundle fire to warm us up a little. 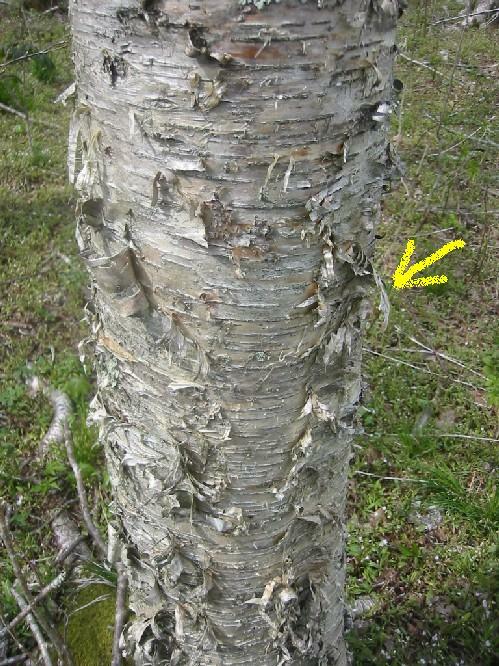 There are three birches commonly found in the mountains, Yellow birch (Betula alleghaniensis), Black birch (Betula lenta), and River birch (Betula nigra). A primary importance of their many uses, is the volatile oil in the bark that makes it a supreme firestarter, even when wet, and I showcase these in the Survival 101 class. You will hear me say “Once you know how to start a friction fire, you will always carry a metal match and a lighter“, the same goes for natural tinders. Always, always, carry a surefire tinder like petroleum jelly soaked cotton balls, and then look to supplement them with natural tinders. I skipped the PJ balls today to emphasize the quality of birches. It rained before the snow, then it froze, and it has stayed that way. I made a quick twig bundle from dead hemlock branches and added several pieces of Black birch bark from a dead tree I passed. You can light it with a metal match, a.k.a. firesteel, ferrocerium rod, etc., or more readily with a flick of the Bic. That was it. A properly made twig bundle, a few pieces of birch bark, and lighter. We kicked out a place in the snow, made a platform, and added some thumb sized fuel. The next stage would be to add wrist sized fuel and then keep going up. Large fires can burn crappy fuel, and if you really need a fire, chances are it is kind of crappy. 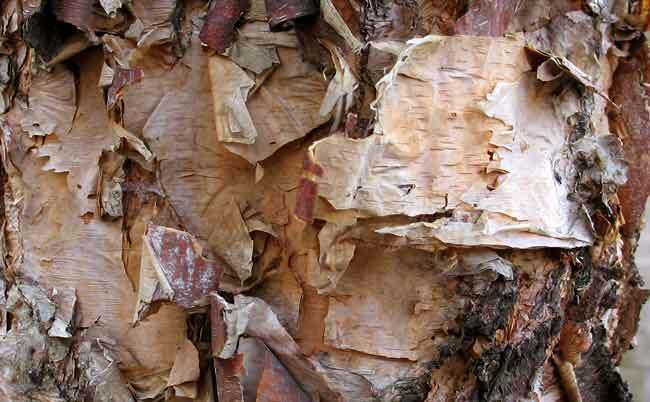 River birch bark: I find these down by the lake, but it is also commonly planted ornamentally. Grab some outside Starbucks or Olive Garden and give it a whirl. 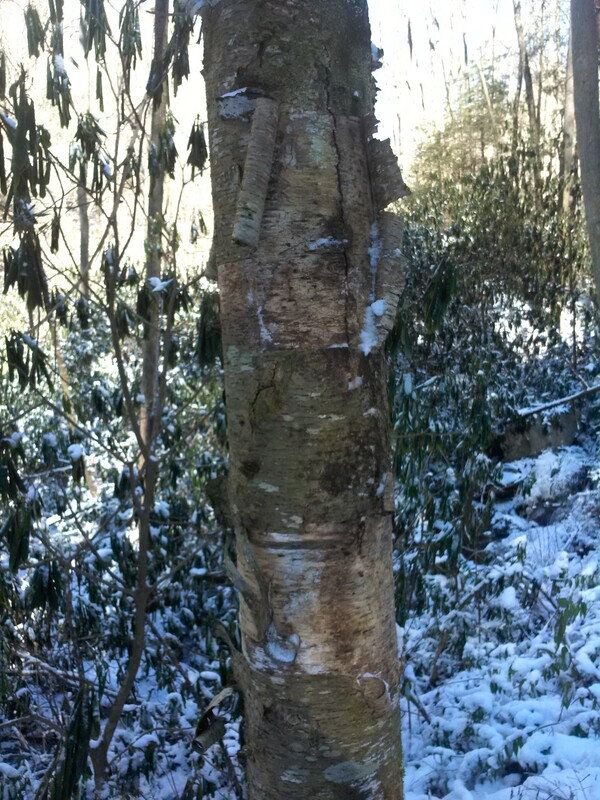 Paper birch (Betula papyrifera) – This is the mac daddy of the birch world, but unfortunately it doesn’t grow around here. Look for this if you live up north. 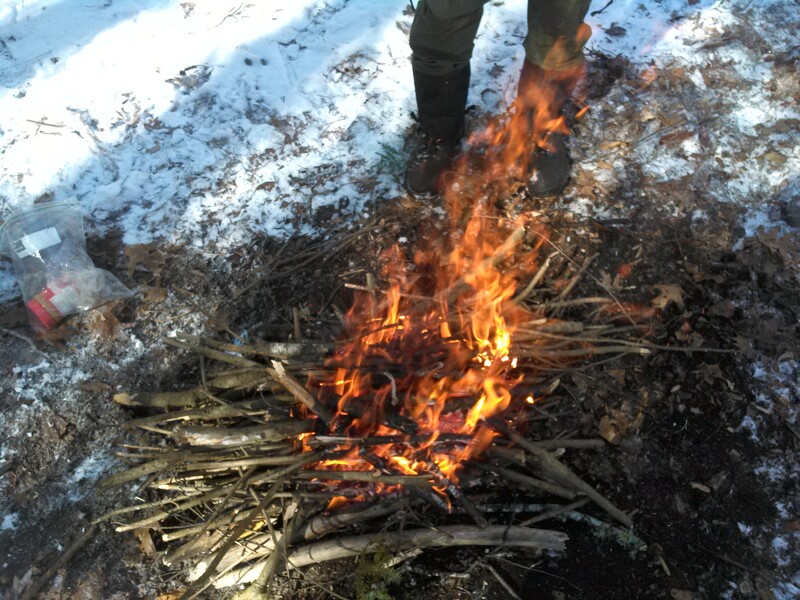 This entry was posted in Fire and tagged Betula alleghaniensis, Betula lenta, Betula nigra, black birch, bushcraft, fire, firestarting, river birch, twig bundle, wilderness survival, yellow birch on January 7, 2014 by bigpigoutdoors. Awesome info. 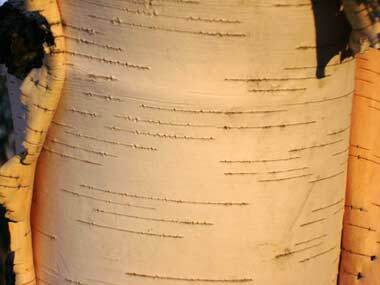 I’ve always heard this about birch bark, but never tried it. I’m going to first chance I get. Thanks Will. It is one of my go to natural tinders in wet weather. You’re killing these blogs. Great stuff. I’m enjoying (and yes, learning) reading them. I guess when you eat, sleep, and piss a passion for a couple decades, you get pretty good at it, huh? Keep it up man. This is all you. Congrats. Thanks Todd. Wish I could have caught up with you when you were up. Baywatch and I reminisced about the old dugout canoe..